Gardenia Plants are evergreen shrubs that can grow to a height of 1 to 15m tall. They produce glossy, dark green leaves and creamy white flowers with sweet fragrance. These exquisite fragrant flowers are either solitary or in small clusters. Gardenias grow well when planted in a full sun to partly shade position. When grown indoors, make sure they get at least 6 hours of direct sunlight. They require consistently damp, moist and well-drained soil. You should maintain a constant soil temperature, so don’t let the soil dry out or over water it. Adding plenty of organic matter to the soil promote the growth of the plant. Cutting off the faded flowers facilitate continuous blooming. Using horticultural oil helps controlling pests like mealy bugs and white flies. Pruning and shaping your gardenia plant is important to promote branching and dense growth. Where To Buy Gardenia Online? 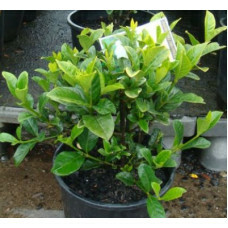 You can buy Gardenia online Australia at Online Plants. 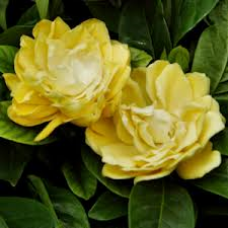 We are the leading online plants nursery where you can find all the popular species of Gardenia for sale. 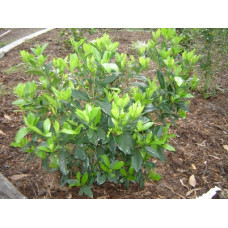 Online Plants provides a wide range of gardenia plants for sale, and they include Gardenia Florida Standard, Golden Magic, Magnifica, Ocean Pearl, Professor Pucci, Gardenia Radicans, Gardenia Aimee Yoshiba & Gardenia Florida. These gardenia species are available for fast delivery to your door in all Melbourne, Sydney, Adelaide, Canberra and Brisbane, metropolitan and regional areas. HIghly rated form of gardenia because of its dwarf like habit. Low and sreading, radicans will..
Gardenia Florida is an exceptional variety producing large, double milky white flowers from late spr..
A neat, small, evergreen shrub growing to 1mt high and wide. Gardenia Ocean Pearl produces delight.. This gardenia is unique for its large double creamy white flowers that strand out amongst dark lustr..